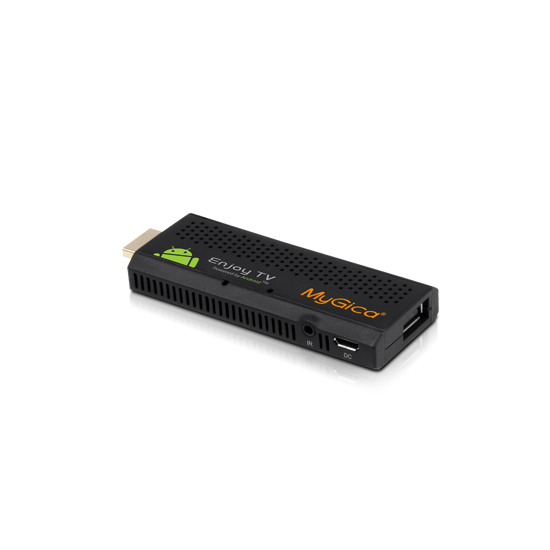 It is a small gadget - the same size as a USB Disk-on-Key, with full Android capabilities and multimedia services. 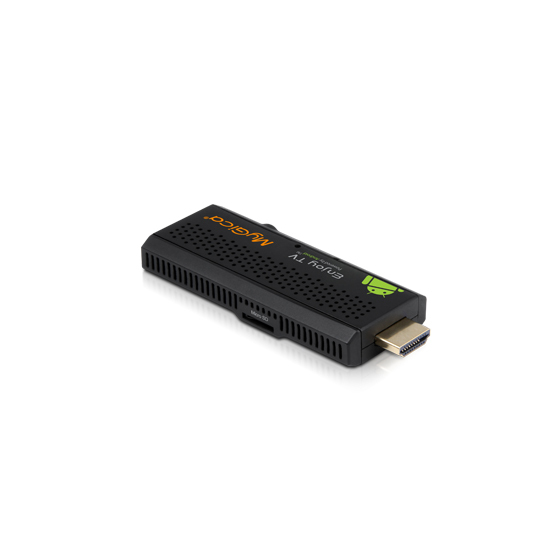 Dual Core HDMI Stick ATV120 is packing a dual-core ARM Cortex-A9 processor clocked at 1.5GHz,1GB of DDR3 RAM and Android 4.1 which is a big improvement over the HDMI Stick ATV100. 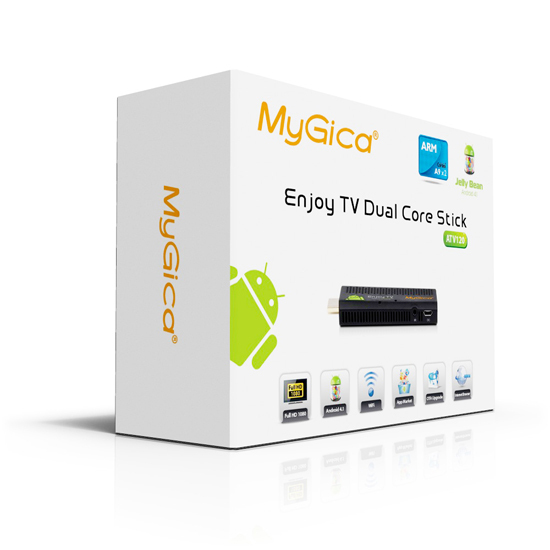 The main usage for Dual Core TV Stick ATV120 is in the living room: play movies and music, play games, stream HD video from the internet and the Android applications and games can be downloaded from the internet too. 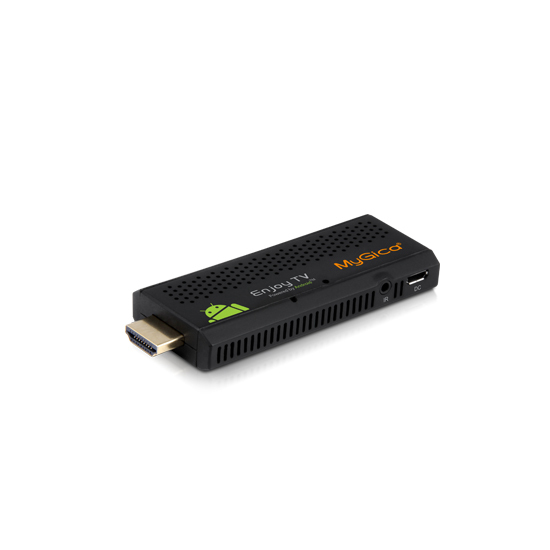 Dual Core HDMI Stick ATV120 has a WiFi connection to the internet and an HDMI connection to a television - making every TV into a smart TV. Connects to the internet with Google Chrome browser to access any website for entertainment, information or education. Supports flash player11, Watch online video from YouTube, Netflix, Hulu, Amazon, or any local video sites and even video-on-demand services. Access to Android app-stores to download, install and run the huge number of Android applications is available. 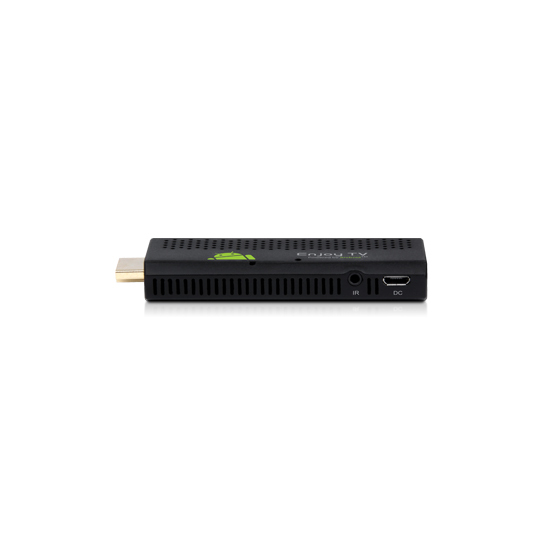 Unique mini PC design, the size of the product is similar with USB flash disk. 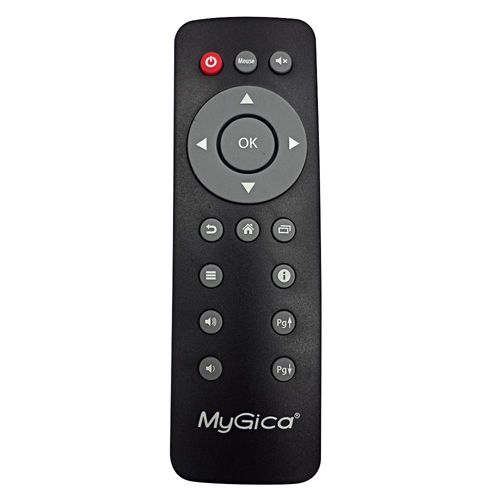 It is operated by Infared remote control, you can fix the receiver everywhere within the operated range. USB nterface, Supports USB mouse and keyboard operation and simple IR remote control with mouse function. App Installer for application installation from USB/ Micro SD,Mini USB for power supply.